It’s not exactly summer or even close to being warm here in Central California, but it is time for me to get my -ish together in terms of my health, because I can’t stand the post holiday flab, even if it’s on my own in the cold. So I’m making better health choices for sure. My friend Candace is one of the lucky few who can eat burgers and still have abs, fast metabolism problems… I wouldn’t know. To be honest, I love eating healthy. I love, most, feeling healthy. So, it’s not really a sacrifice for me at all to skip the fries and go for a salad instead. When you know better, you do better, right? 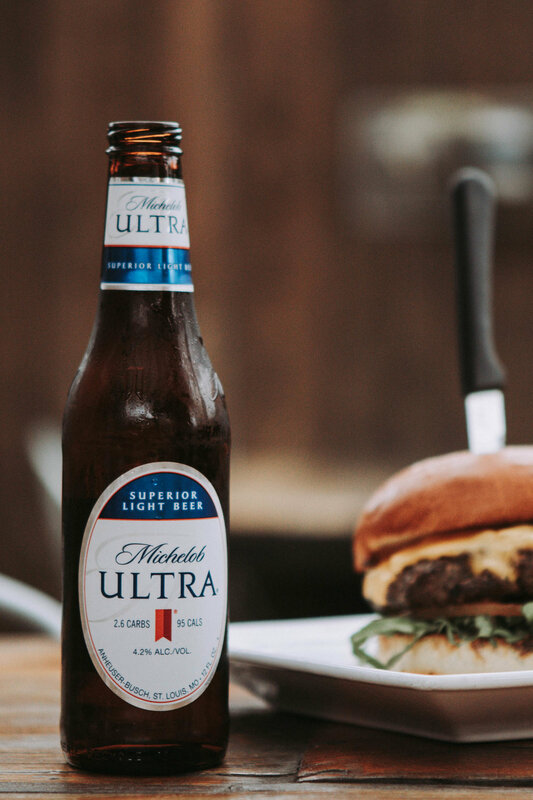 So Michelob ULTRA is a really light beer, which is good for me, because I drink one stout and I’m drunk and not really hungry anymore, except for more beer. Do you see the problem? So, lighter beer is the better solution for me, and I love this one. 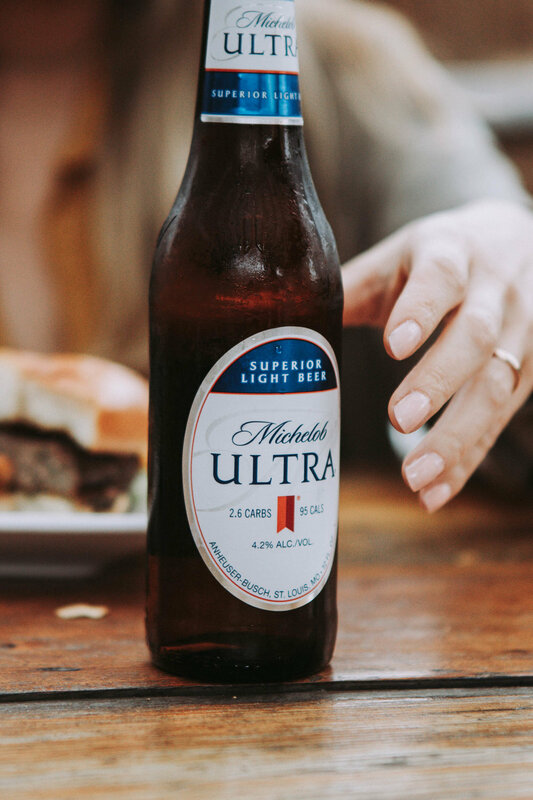 My friend and I both agreed a beer in the afternoon, on a cool day, is a little bit of magic, especially that first sip. I feel like beer gets a bad rap for being “carby” but it’s really not. This one only has 2.5 of them, and 60% less carbs than a glass of wine, so…. there’s that fun fact I didn’t know before. I definitely would’ve guessed the reverse, although I’ve always preferred a beer to a glass of wine anyways. I get the wino sleep headaches. So, that’s no fun.